“Home building is an industry dominated by small businesses, so the idea of simplifying the complicated tax rules related to business has great appeal. At the same time, our industry remembers painful lessons from the 1986 Tax Reform Act, when the commercial and multifamily sectors experienced a downturn due to unintended consequences,” said Robert Dietz, an economist and assistant vice president for NAHB, in testimony during a House Ways and Means Committee hearing on tax reform and residential real estate. U.S. Census data shows that more than 40 percent of renters are “rent burdened,” or pay more than 30 percent of their household income on rent. The need for affordable rental options remains acute. The Low Income Housing Tax Credit (LIHTC) is the most effective tool for the creation of affordable rental housing. Utilizing a public-private partnership to attract investment, the program has produced and financed more than 2 million affordable rental units since its inception in 1986. When it comes to housing and tax reform, the spotlight typically falls on the mortgage interest deduction, and Dietz set the record straight on a number of false assumptions regarding this important homeownership benefit. “The need for a larger home created the higher home loan deduction, not the other way around,” said Dietz. 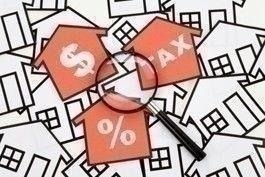 “The real estate tax deduction is an important reminder that home owners pay more than $300 billion in property taxes each year. This fact is often ignored in the federal tax debates because these taxes are collected by state and local governments,” said Dietz. There is also a direct correlation between the age of a home owner and their resulting benefit from the mortgage interest deduction. As a share of household income, the largest deductions are for those 35 and younger. The benefit of a deduction that reduces the net cost of monthly house payments is particularly important to these home buyers, who typically have less equity, tighter household budgets, and must meet the needs of a growing family. “Given this demographic connection, NAHB believes that any policy change that makes it harder to buy a home, or forces young families to defer home purchases, will have a significant impact on wealth accumulation and the makeup of the middle class,” said Dietz. Noting that building 100 single-family homes creates more than 300 full-time jobs and $8.9 million in federal, state and local tax revenues that helps boost local communities and schools, Dietz said that how housing is treated in an future tax reform will shape the economy going forward.